Domenica a Milano si è svolto il Red Bull Flugtag. In pratica una carnevalata di simapaticissimi pazzi che si sono sfidati in una folle gara di volo con velivoli autocostruiti. Prossimamente posterò foto degli spettacoli pre volo e dei “voli” veri e propri!! 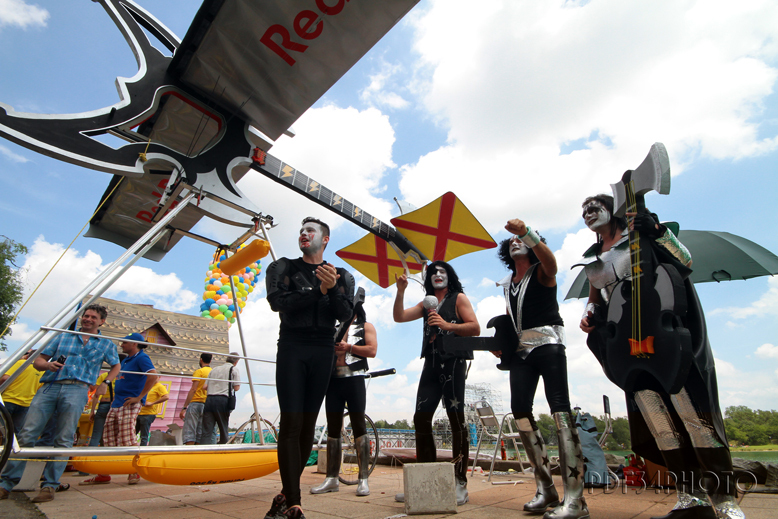 Sunday in Milan was held on Red Bull Flugtag contest. Like a crazy carnival some likeable people are challenged in a mad race with self built flying aircraft . Coming soon will post photos of the shows pre-flight and the real “flights”! This entry was posted in Foto, Fotografia, Photo, Photography and tagged Flugtag, Foto, Fotografia, Lifestyle, mad race, Photo, Photography, Red Bull, red bull flugtag, Red Bull Flugtag Italy. Bookmark the permalink. LOL sounds like a crazy, random party!